Hamish Murray will be presenting an exciting exhibition of his photographs, sketches and paintings inspired by Durlston and the local area during the last 40 or so years. Hamish Murray first started studying Purbeck’s wildlife almost 40 years ago when he began work as a countryside ranger at Durlston Country Park. Since then, his job may have changed but the fascination with the area’s outstanding natural heritage still remains. 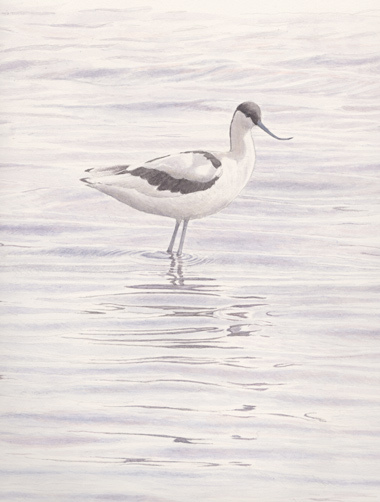 The exhibition will focus on Purbeck’s wildlife, showcasing a range of Hamish’s art from field sketches to finished paintings. A selection of prints will also be on display along with a wide variety of photographs which highlight many of the hidden wildlife treasures of the area. Although he has a particular interest in migrant birds, there are few areas of natural history that his work doesn’t cover. A number of sell-out annual exhibitions helped to enhance Hamish’s reputation as a watercolour painter with a list of famous clients which includes rock stars and royalty.